We build two different styles of cabinets. Both are well built and of good quality, but one has more details and features. Both cabinet classes are built with veneer core plywood and solid wood, no particle board or MDF*. 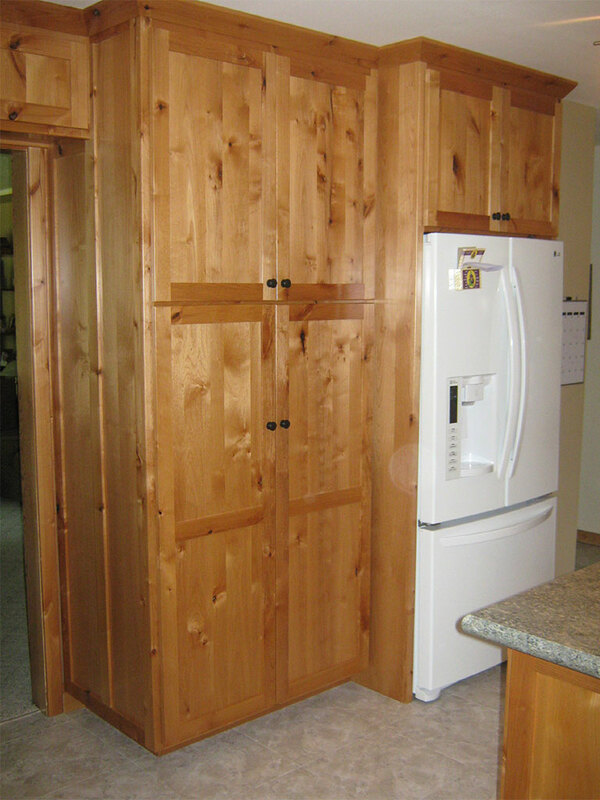 All cabinets are built with 3/4″ plywood sides, tops, bottoms, and shelves. All drawers have under mount soft-close Blum drawer slides. All drawers are dovetailed and have 1/2″ plywood bottoms. All doors have Blum hinges. All lazy susans are maple with a clear finish. Class 1 kitchens have all the options. LED lighting under the upper cabinets. All exposed cabinet ends are paneled to match the doors. Cabinet interiors are specie match to the outside of the cabinet. Shelves are built from 3/4″ plywood with a 3/4″ x 1-1/2″ solid wood nose. Class 1 drawers are specie and stain match to the cabinets. Cabinet doors have soft-close hinges. Class 2 kitchens have the same quality and functionality but have a few less details. Class 2 does not have LED lighting. Cabinet end panels are veneer core plywood. Cabinet interiors may be birch or maple. Shelves are built from 3/4″ veneer core plywood with a specie-match edge tape on the front edge. Drawers are maple with a clear finish. Hinges are standard, not soft-close hinges. Should you choose Class 1 or 2 cabinets? The biggest difference is on the inside, with the exception of the paneled ends and LED lighting. 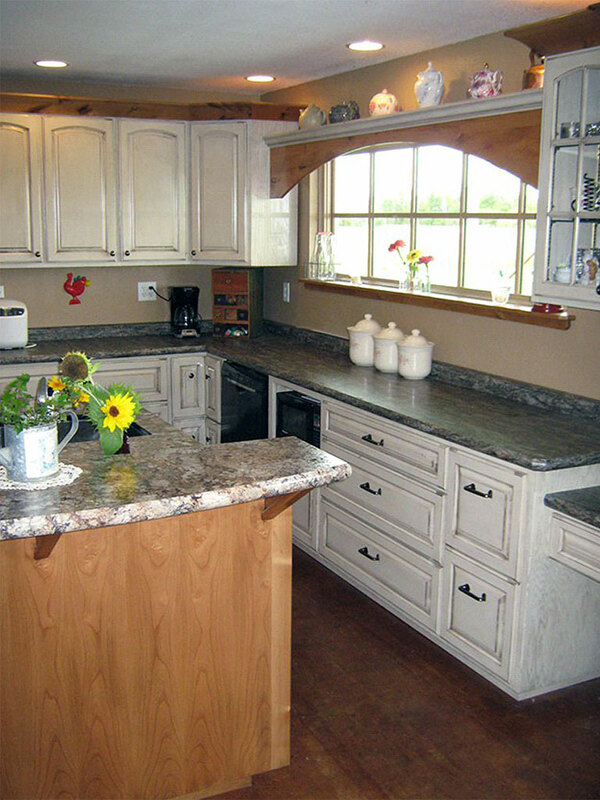 Of course, we like doing all the options, but if you want to make your kitchen a little less expensive without sacrificing quality, the class 2 cabinetry is an economical choice. * Occasionally we cannot get veneer core plywood in 1/2″ so backs may be MDF core with specie match veneer.